Holy crimefighting in September, Batman! 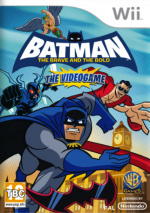 The masked defenders of hand-drawn 2D animation, WayForward Technologies, are set for a Wii and DS return this month as Batman: The Brave and the Bold crusades its way to stores around the world. 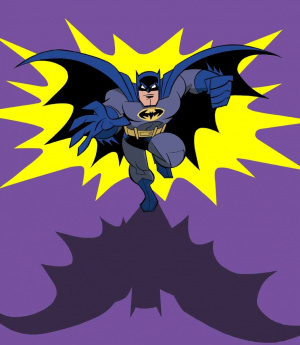 Launching in North America on September 7th and with a European release following on September 24th, the new game is based on the caped crusader's current cartoon incarnation and is one of the few games to allow Wii and DS consoles to connect. Whilst the player wielding the Remote takes control of Batman, a second player can use the DS to activate the Bat-Mite voiced by Paul Reubens of Pee Wee Herman fame, of all people. Enjoy this trailer in all its Pee Wee glory, and don't forget to read our WayForward interview here. 8th of September for Aus btw. GASP They added part of the interwebs to this trailer! "awesome-sauce"
That trailer is super cool. DAY ONE PURCHASE! Oh yeah and the game looks awesome as well. I was like Spet. 7th ok that gives me some time to play Metroid Other M, look up at where the computer time/date is...what the...it's Sept. 3rd, when...how...damn this game isn't too far off! Out of all the things I saw today, I would've never guessed I was going to see Batman play Wii. WayForward disappointed me with Mighty Flip Champs, but I'm still gonna give this a shot. @LuWiiGi Really, I thought Mighty Flip Champs was a great game with an interesting concept. Want to at least give this one a try, just to see how well the DS-Wii connectivity works. Might get both just to hear Pee Wee Herman. I like Way Forward but they haven't reached pre-order status in my book. But this is something that's on my watch list. Excellent trailer though. Makes it hard to resist! I decide (on a buy) when I know more.